Having trouble finding the phone that has the exact hardware specs you want? Or maybe you’re a bit of a control freak and want to specify every detail of your phone? 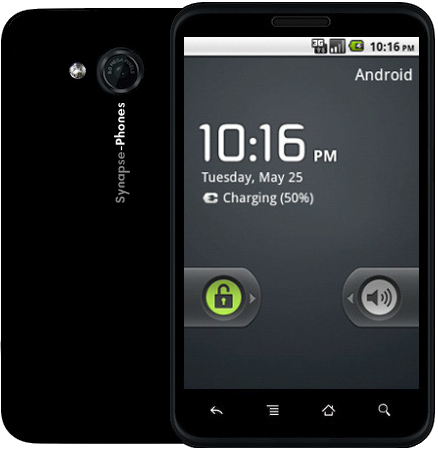 Germany’s Synapse-Phone may be what you’re looking for. And besides its customizability, AndroidGuys has learned that the phone will be rooted out of the box. Employing an ecommerce model like Dell’s, Synapse-Phone provides a base model 1 Ghz phone running Froyo with a 4″ SuperAMOLED display, and lets the buyer customize just about every other detail, raising or lowering the final price accordingly: 5, 8 or 12 MP camera with LED or Xenon flash? Totally up to you. Same goes for the amount of onboard memory, the 3G, 4G and Wifi radios included, physical or capacitive front buttons, whether there’s an HDMI Out, etc. Full details are available on the Synapse-Phone website*, as well as the ability to pre-order right now. The base model is €299 (about $415 currently). *Due to high traffic, their URL is currently redirecting to their Posterous blog. Hopefully the site will be available soon, but until then, Google’s cache of the site is available. The phone will be rooted out of the box with an unlocked bootloader. Phones pre-ordered now will ship in February, 2011. The quad-band radio will work on U.S. GSM carriers such as T-Mobile and AT&T. We’re definitely excited to see this phone when it begins shipping. Or should we say if it begins shipping–our concern is that it’ll either be delayed or end up vaporware, especially since the processor has not yet been finalized. What do you think, will you be pre-ordering?